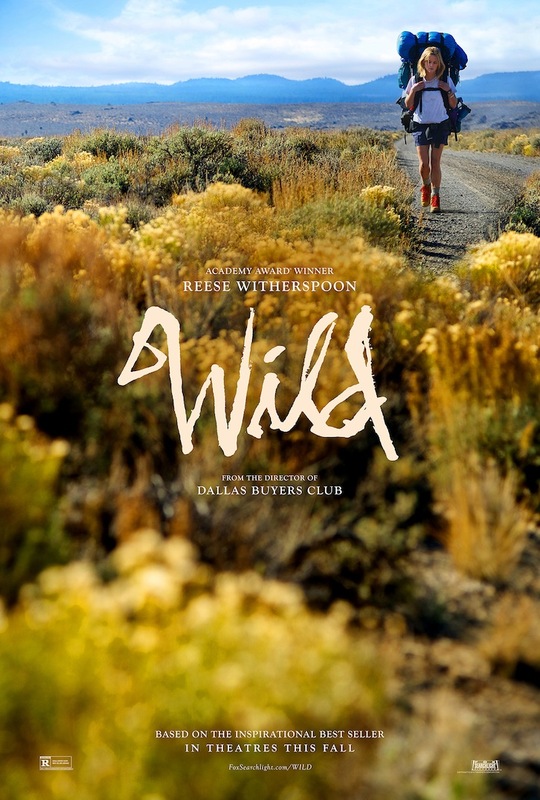 Today was “Wild,” and yeah, that almost sums up the movie and the life of Cheryl Strayed. I had to take a little walk after this movie to help me get my thoughts together. Cheryl’s (Reese Witherspoon from “Mud“) life is falling apart before her bloodshot eyes. After her mother, Bobbi (Laura Dern from “The Fault In Our Stars“), dies, she spirals straight to rock bottom. The backstory is sprinkled throughout the journey, so at the beginning of the movie we don’t know how low she got. We just know she has been through some things – bad things. Many people never climb out of this hole, but for some reason she thinks her salvation lies somewhere out there on the Pacific Coast Trail. So the aimless Cheryl takes aim on the wilderness. She loads up a pack that winds up bigger than she is. The physical items are a metaphor for the emotional cargo that also weighs her down. This first little bit hooked me in. What do we need to carry with us? What would we like or love to have, and what other stuff is there just because we think we need it? Most important, what will be discard on the way? Cheryl plans on walking a thousand miles, and every 10 steps she thinks about quitting. For miles and miles, all she can think about is quitting and all the reasons she should quit since the 26-year-old is not the person her mother thought she was. What keeps her going is the knowledge she is not the person she wants to be, and she can’t stop until she finds that person. The pain and suffering of the trail are taken as a penance for her past. Punishing herself in this way is healthier than her reckless behavior. She gave therapy a try, but some things she just couldn’t talk about, or explain, or share. She can’t even understand them herself much less lay them out for some therapist to put them into a cookie cutter context. I think all of us have thoughts about doing a “walkabout” to clear our heads and escape some things. It worked for Moses and Butch and Sundance, though lately it has become more cliché and a means for the spoiled youth to “find themselves.” I say this as someone who has never done it, so it is easy to form such simplistic judgments. I thought this was going to be the trite indulgent story of a spoiled blonde chick. What I did not know was this was the real life story of an actual blonde chick that I knew nothing about so, again, it was easy for me to judge her and the movie. Judge not, lest ye have trudged the trail in your own duct tape hiking boots. When you layer all this with some Simon and Garfunkel, you understand the journey is the thing, and you hope the best version of you survives the trip. For that, I must give this movie 4 stars out of 5. The next time you see someone with all their life’s problems on their back, just say a prayer they don’t quit before they become who they need to be.